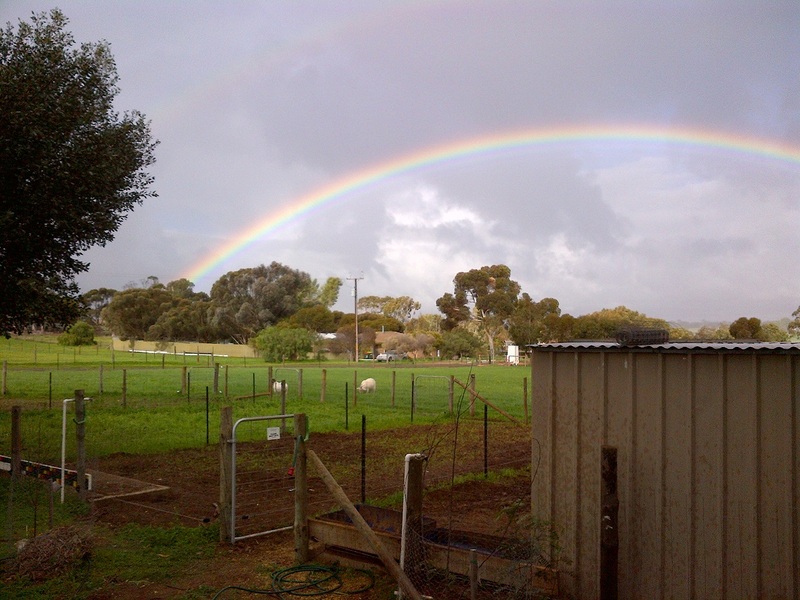 Linhda and I spent half the month in Canberra, so July was sadly light-on for farm work. We did, however, manage to get a few things done, one of which was a fairly major meat win. 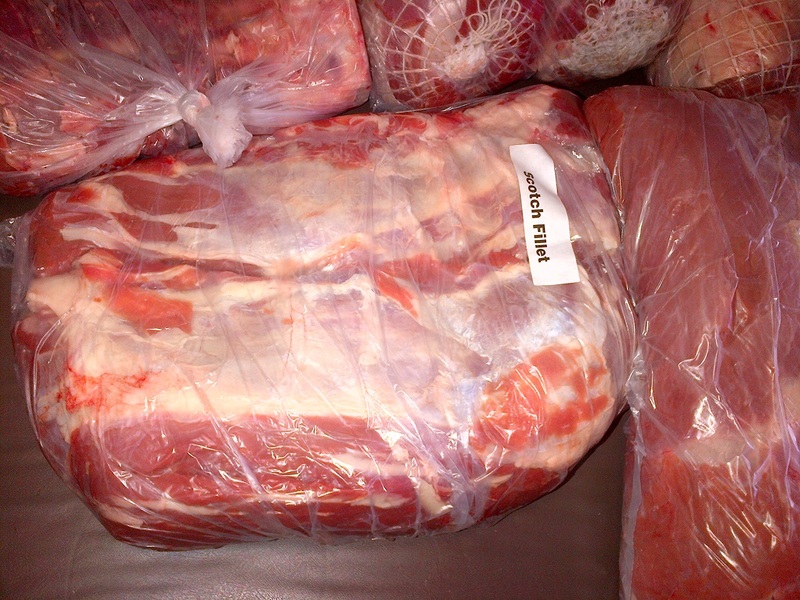 148kg of grass-fed, free-ranged, awesome! One of my favourite steak cuts. 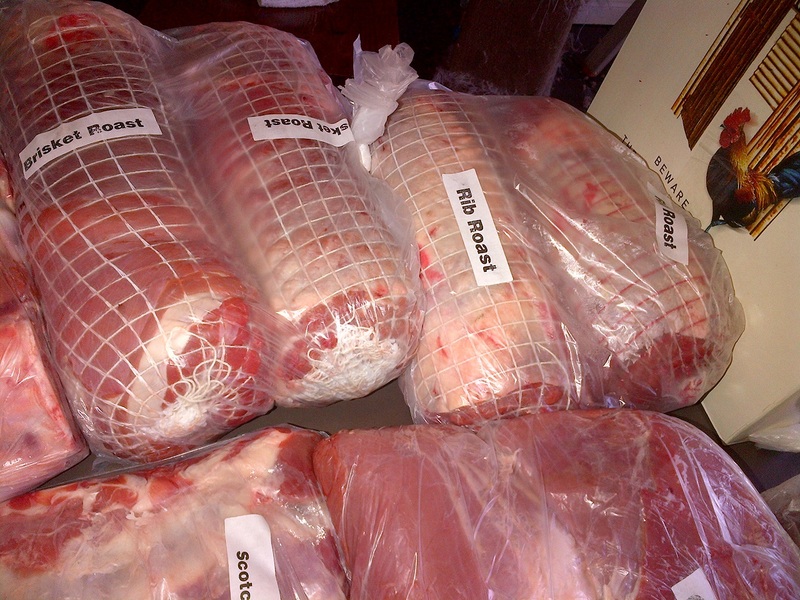 In line with our recycling, no-waste ethos, I was keen to have a go at preserving the skin. 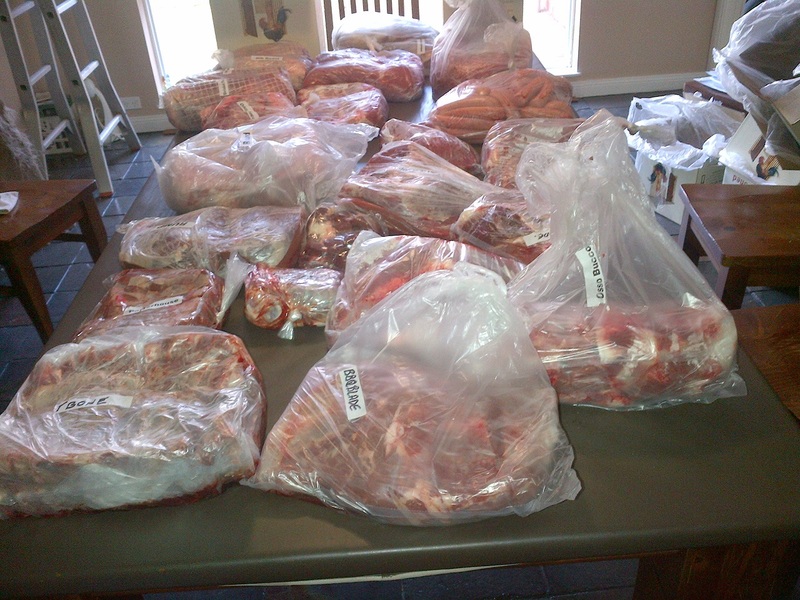 I spoke to the butcher and organised to go pick it up the day Fillet was processed. I bought a heap of salt in. 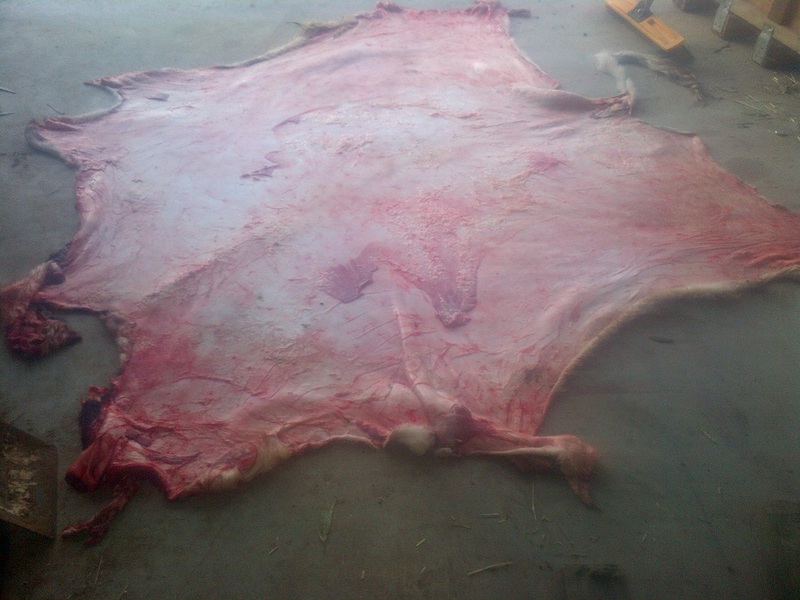 I researched how to easily preserve a hide on the Internet – you have to scrape the fat and gunk off the inside, and then salt it. It seemed pretty easy on paper. Of course, the reality was nothing like that. For one, the skin is messier than you’d think. Seriously, it’s gross. Secondly, I couldn’t scrape anything from the inside. I tried our sharpest butcher’s knife, but couldn’t get through the membrane. I ended up just salting the crap out of it to see what would happen. … so I poured salt all over it. I still want to try to preserve the skins on the animals we have done. I’ll either have to work out where I went wrong, or use a different method. 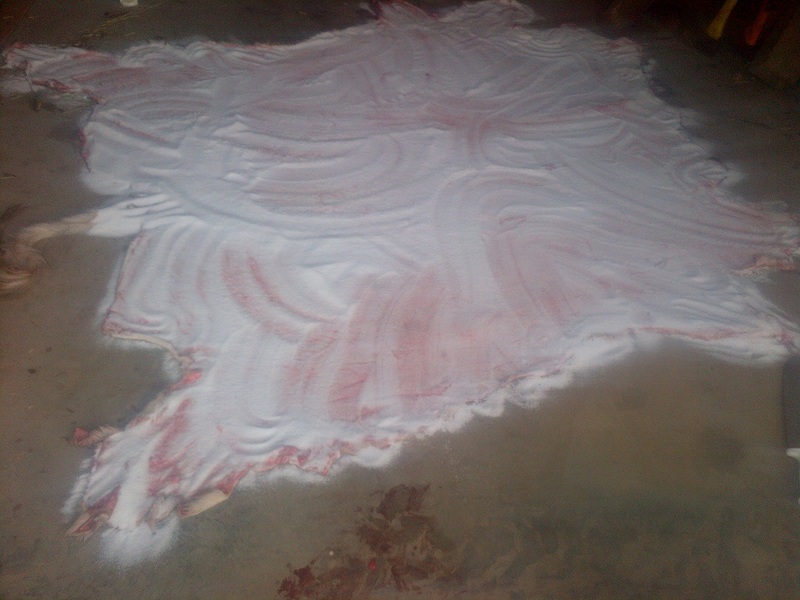 Fillet’s skin is still on the floor of my shed, and may turn out okay. It won’t ever be house-worthy, but might be okay to hang on the shed wall. 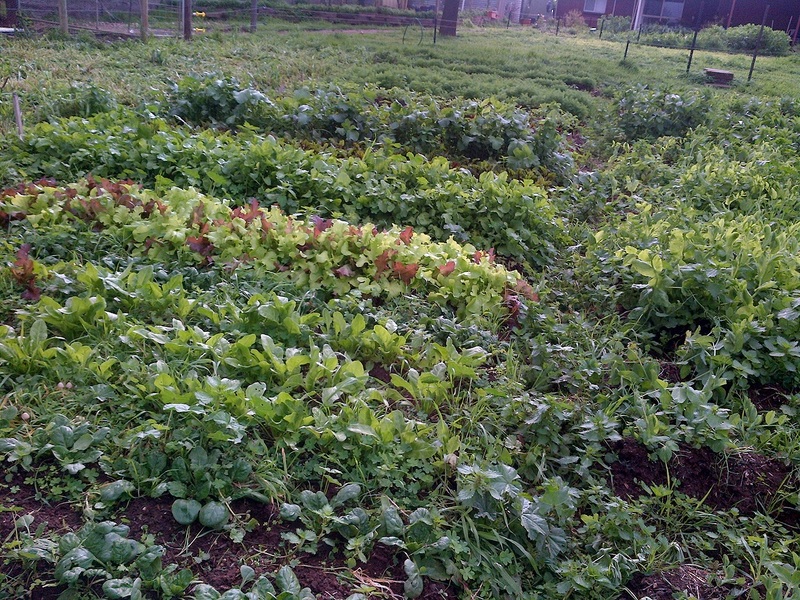 We did a fair bit in the veggie patch too. 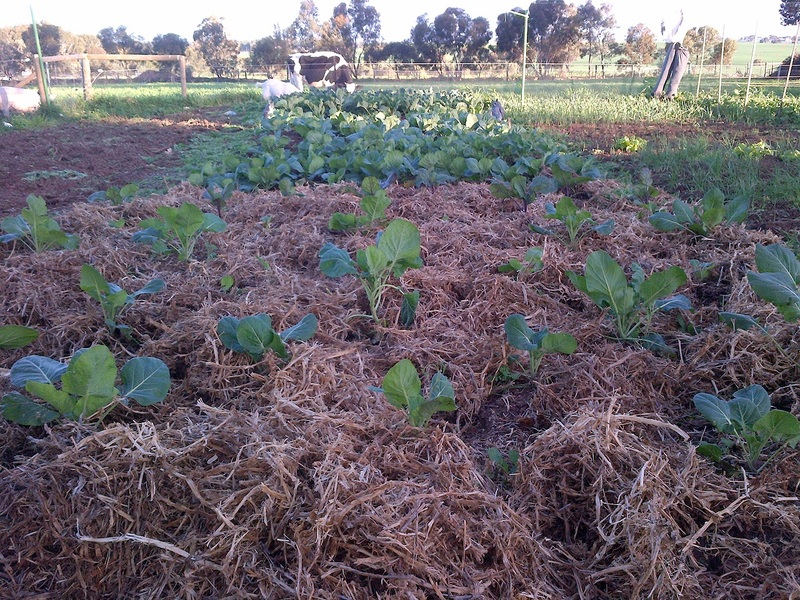 Winter is my new favourite season, but the extra rain means a heap of weeds. We managed to mostly stay on top of the weeds. Mostly. The chenopod bed looking over to the legume bed. 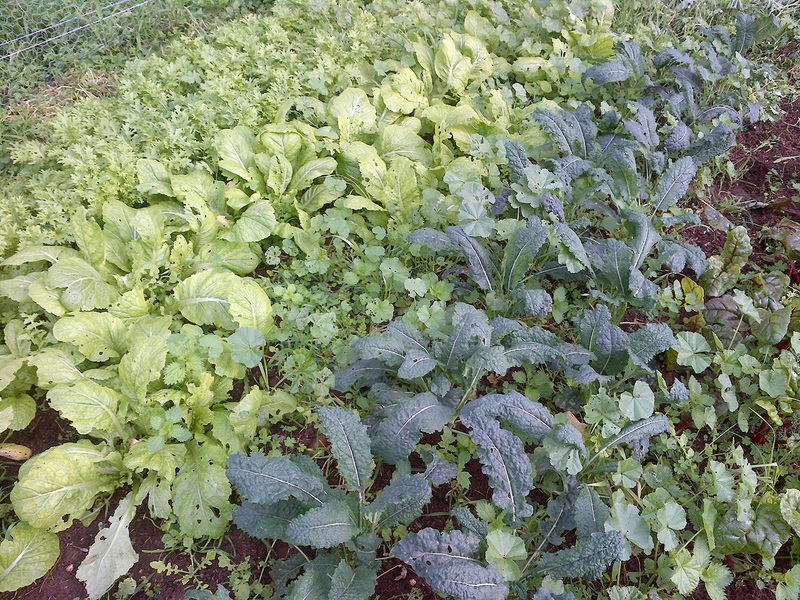 Mustard greens, kale, and some spinach. Looking over some leafy greens. 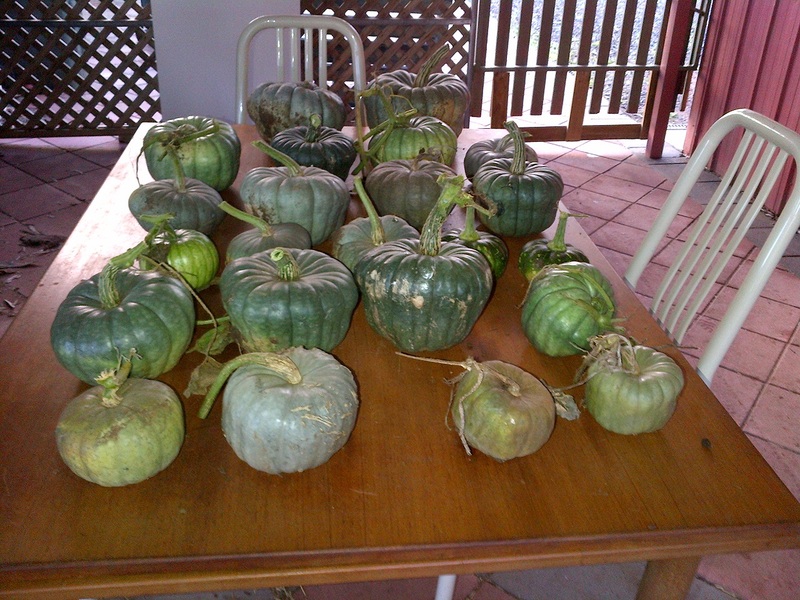 In addition to that, we harvested the pumpkins. My original plan had them finishing around February or March, but they were still there in July. Parts of the plants looked like they were dying back, while others had new growth and flowers on them. I’m not sure if it’s the way the weather is changing or something about where we grow them, but it was weird. I ended up getting impatient and harvesting them. A big part of our pumpkin harvest. I also started preparing the two non-planted beds. 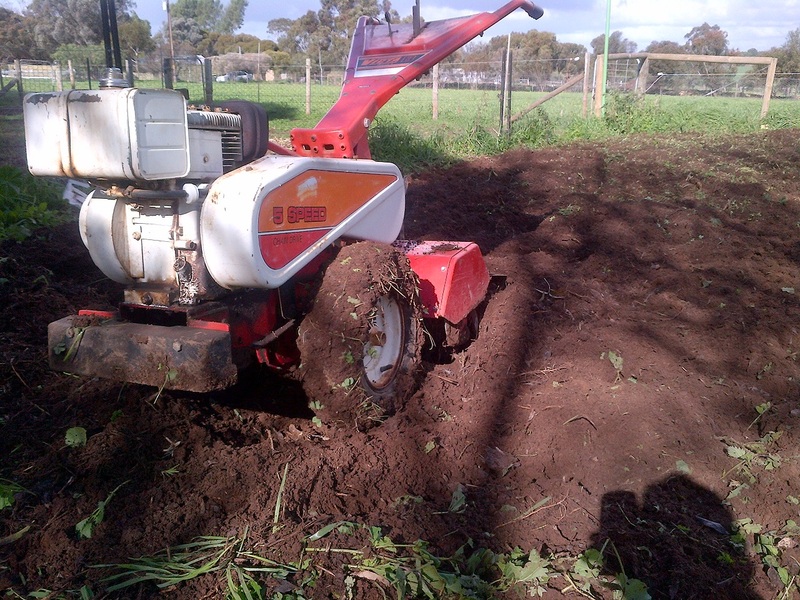 The rotary hoe did an amazing job on the pumpkin bed. This rotary hoe is a beast! 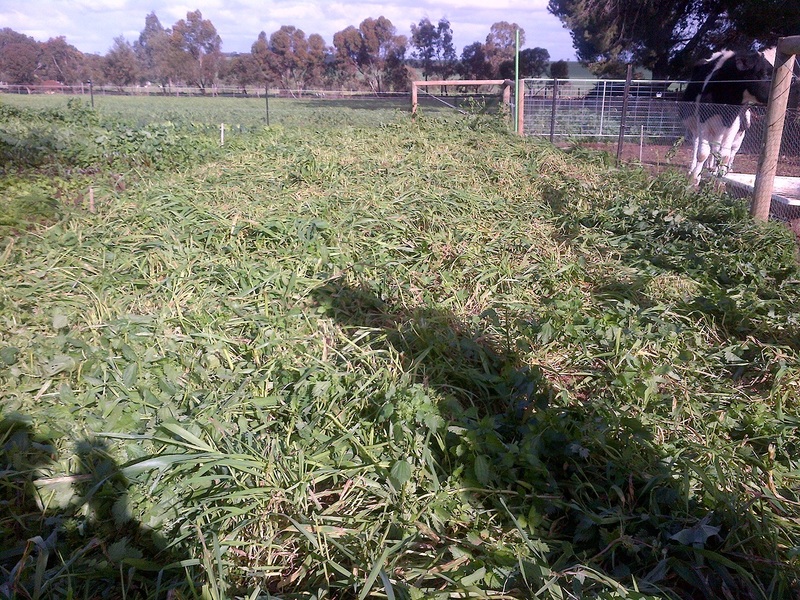 And I cut down the green manure ready to be turned in. 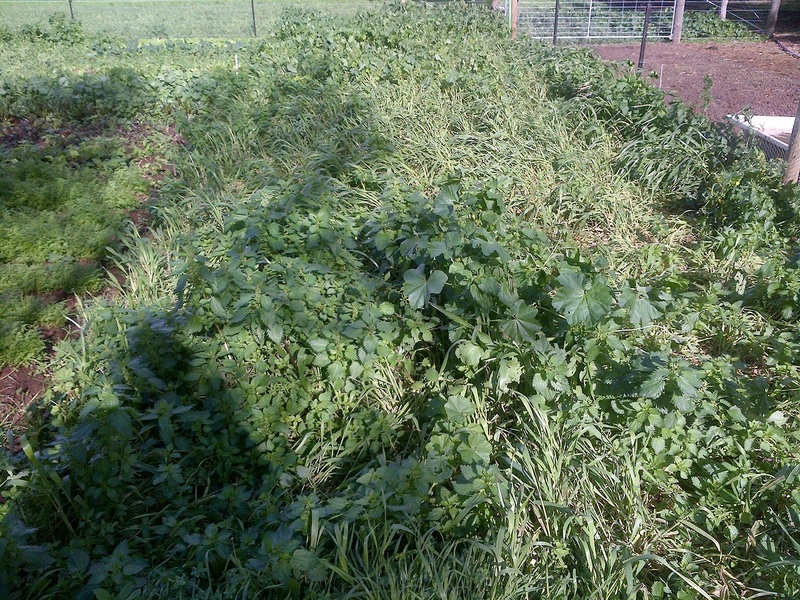 A before shot of the green manure. 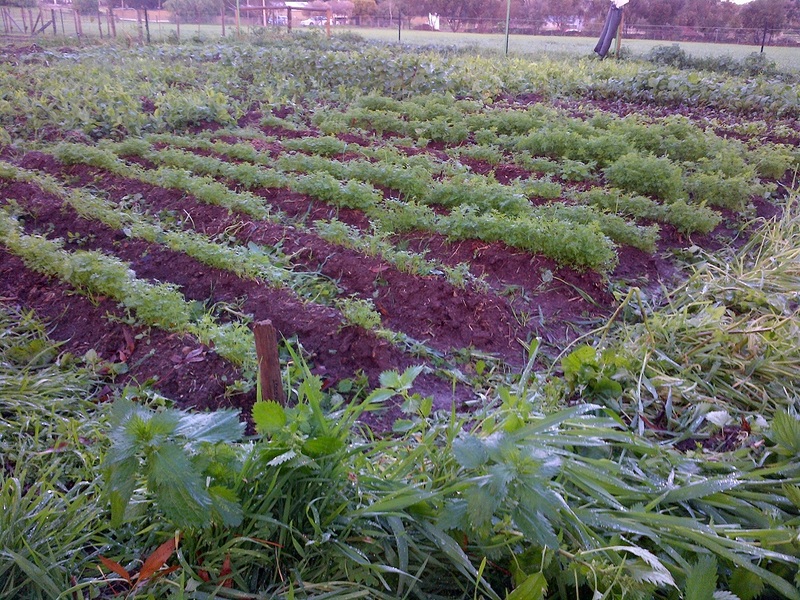 And after shot of the green manure. 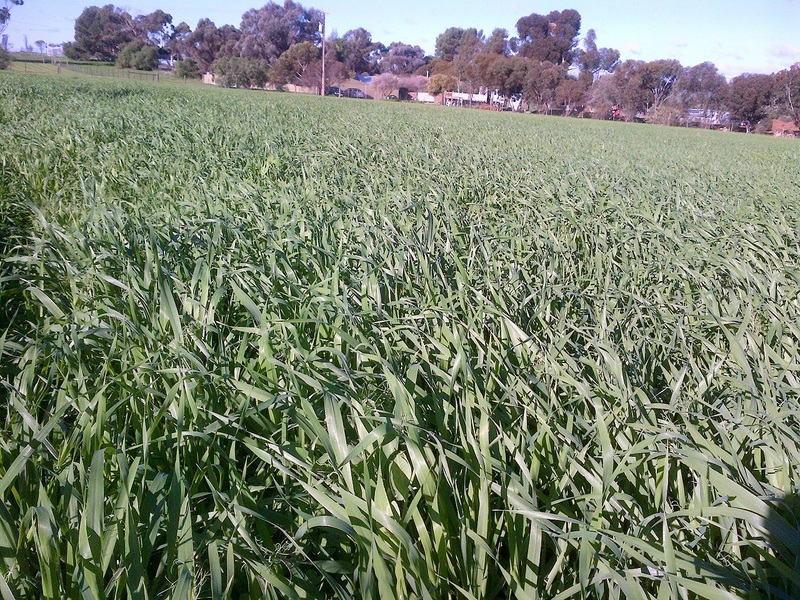 I’ll let the green manure sit for a week or three and turn it over. I also plan to plant some potatoes in the old pumpkin bed, and maybe plant them a little earlier than last year, just as an experiment. Another experiment I’m trying is fertilizer tea. Well, kind of tea. 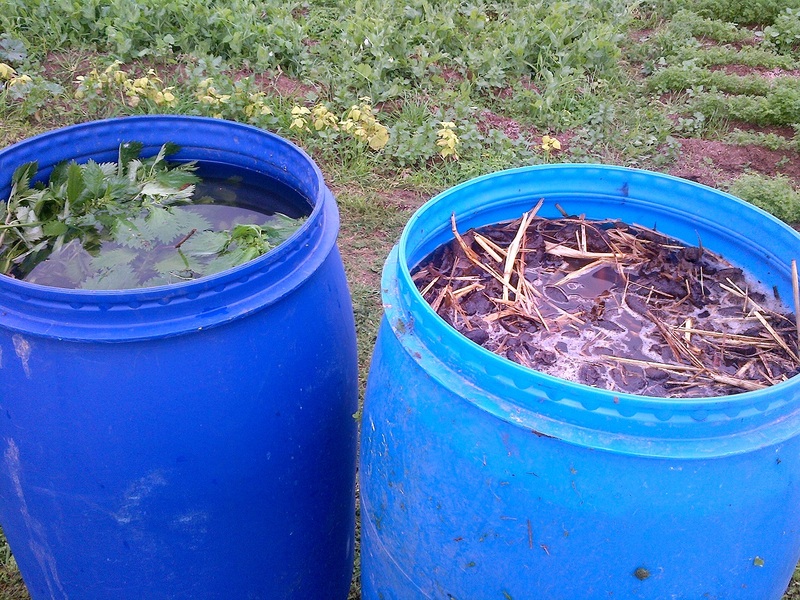 I set up two 200 litre barrels, one with nettles and the other with a mixture of cow and pig poop. I’ll let them steep for a couple of weeks, and use the water as organic fertilizer. The resultant sludge will go on the compost, and then I’ll makes two more teas. This way I should have 400 litres of organic fertilizer every fortnight, a well fed veggie patch, and I get to drown the nettles that keep stinging me. We did have some problems with Tink, the goat we bought as a milker. 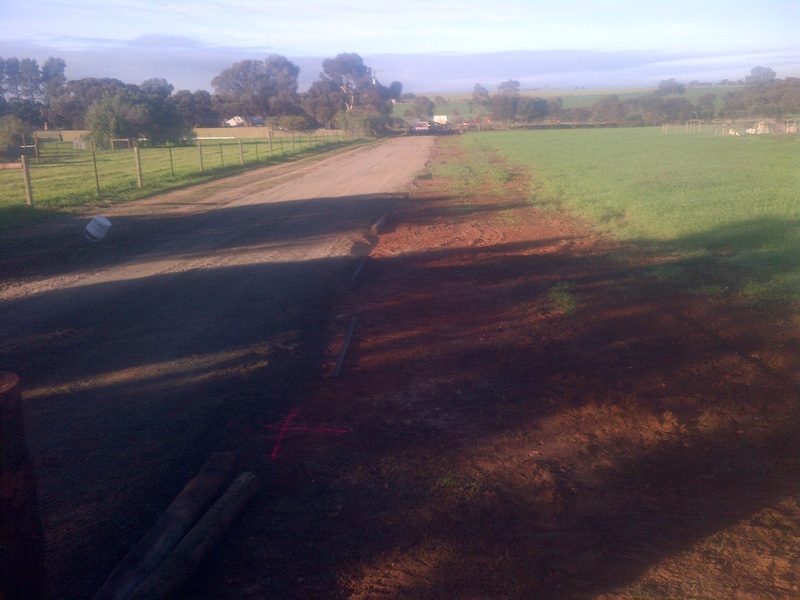 Firstly, the fence along the new “track” went in. It looks great, but turns out to be a little low. I also specifically asked for no barbed wire. 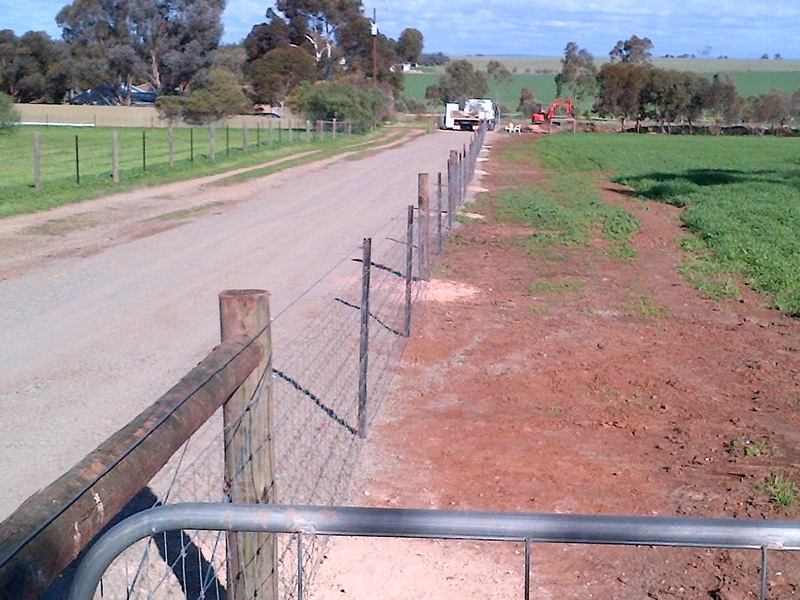 The new fence going up. The new fence looks awesome. 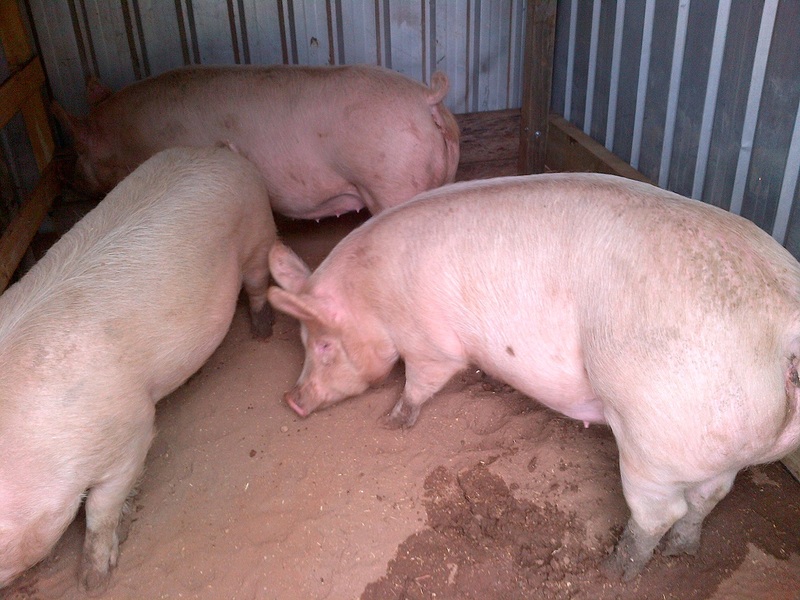 After a couple of weeks away, we could really see the difference in Smoked Pig – she is definitely pregnant. Honey may also be pregnant, but if so, she’s a month or so less pregnant. That’s not necessarily a bad thing, as we currently only have the one shed that’ll work well as a farrowing shed. Along those lines, we put some work into making it a proper farrowing shed. 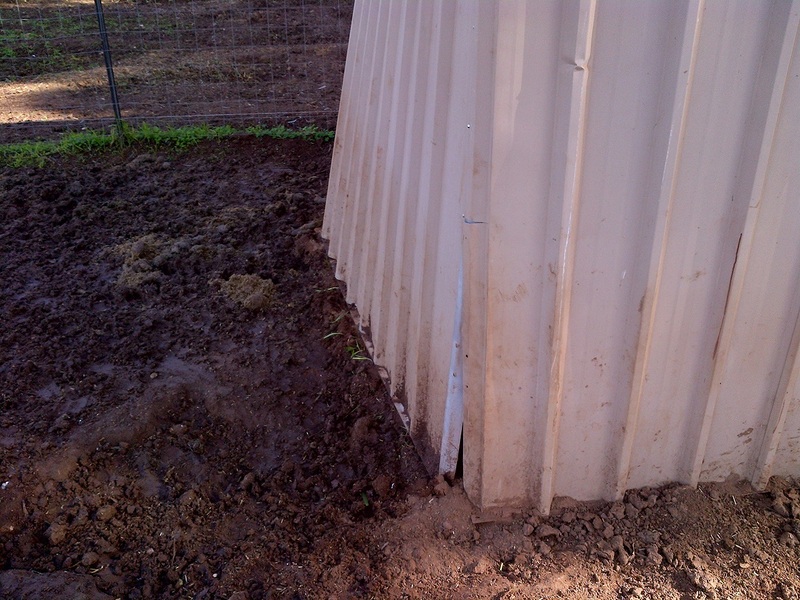 This is what happens when a collective half-tonne of pigs sleeps against the shed wall. 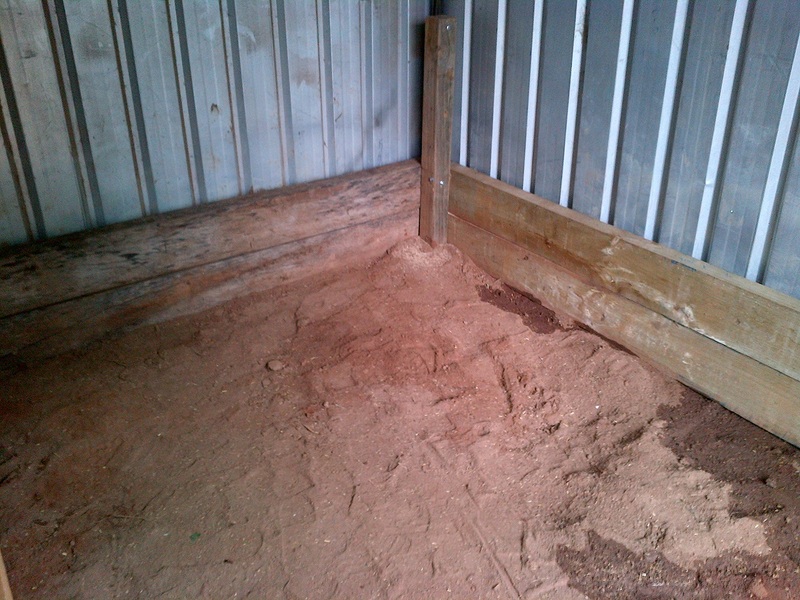 We straightened the shed up, and reinforced the inside with corner posts and sleepers. 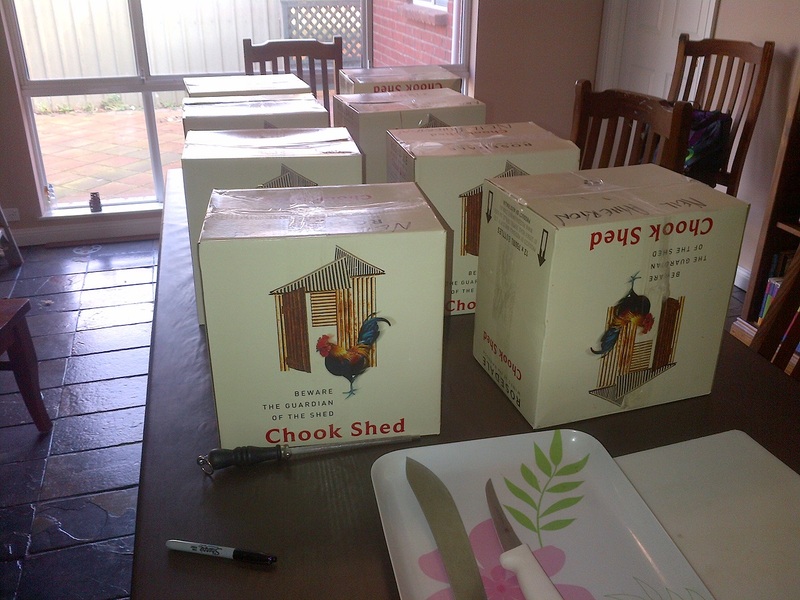 Then we put a barrier in that will allow Smoked’s babies to slip away from her if she lies down. Large Whites are great mums, but sometimes squash their babies on accident. Having a barrier that the babies can get under means they can get away if necessary. This barrier will give the babies a chance to get away from mum. 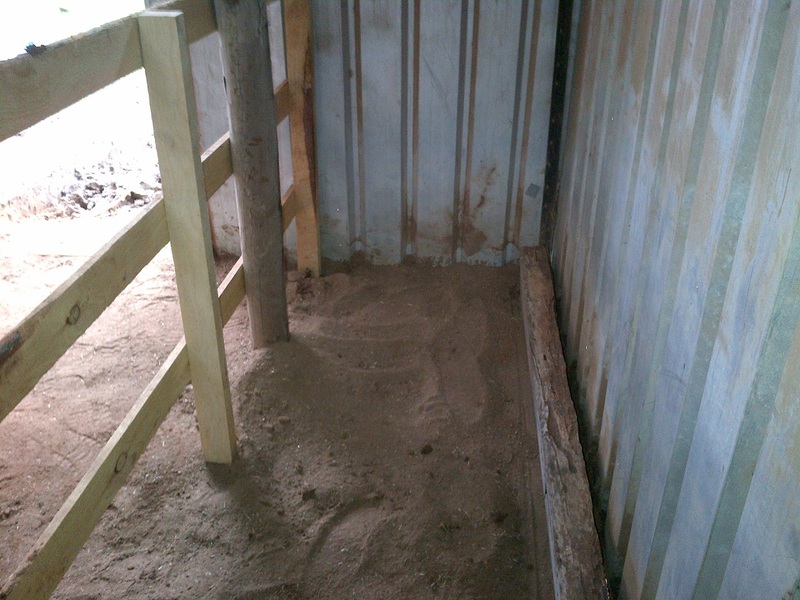 We’ll put a heap of straw in here and put up a heat lamp. Reinforcing with uprights and sleepers. In stables these are called “kick boards”. 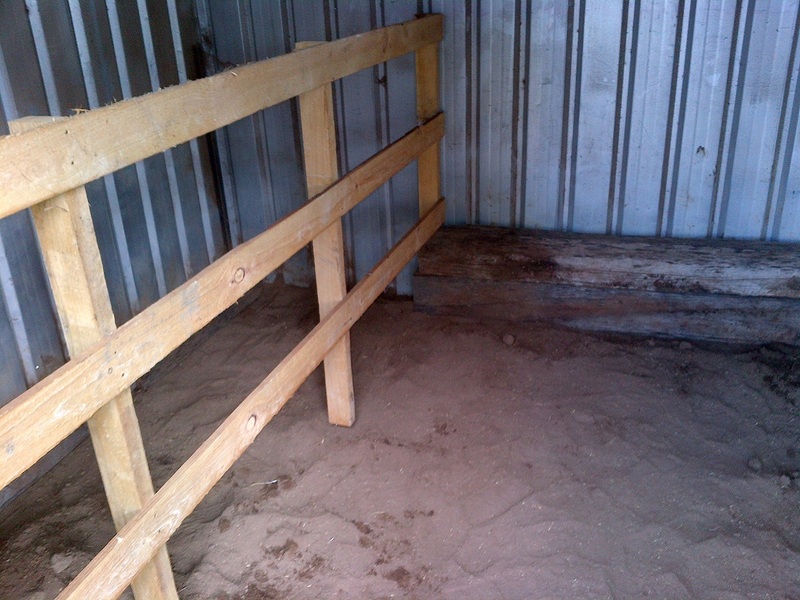 In a pig shed, they’re “lean boards”. The next step is to run electricity out to the shed and put in a heat lamp. We have most of the material we need, but still need to source a couple of things. If Smoked got pregnant as soon as Boris was put in with her, then she’s not due until the start of September. Judging by her size, and the fact that she’s obviously struggling to get up from lying down, that’s a little tough to believe. She’s freaking huge! The weather approved of our work. The Babies checking out the new farrowing shed. 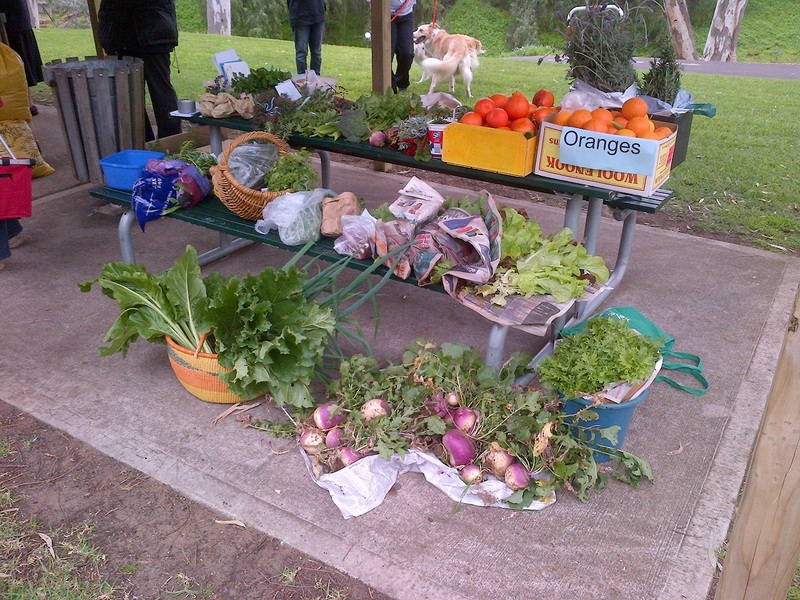 The month ended with us attending a fresh produce swap session in Gawler. It’s set up by a group called Transition Gawler who have their own FaceBook chat page. It was only their 3rd swap session, and maybe 20 people were there. Apparently it had grown significantly, and it was interestingly. People bring their excess, lay it out, and then grab what they want. It’s a great idea and I hope it takes off. This is what we took to the produce swap. Bruce approved. 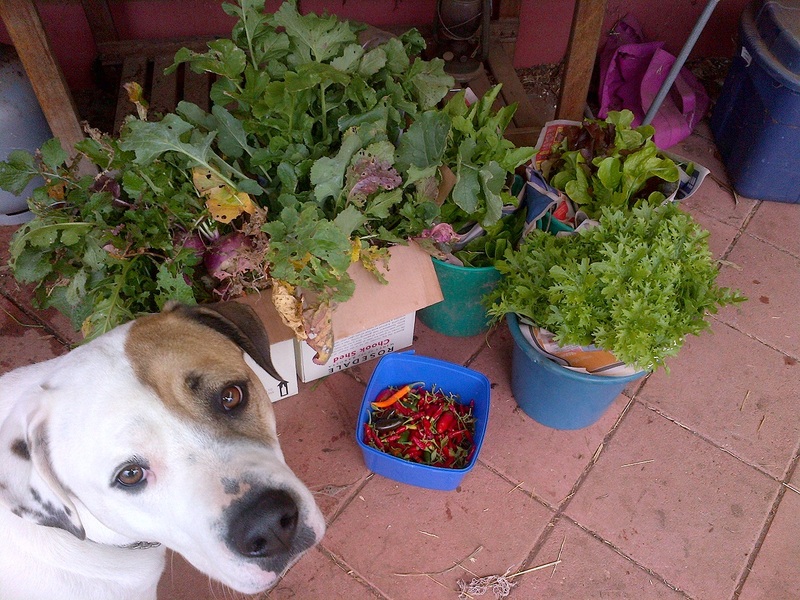 The Gawler Produce Swap. It went well. 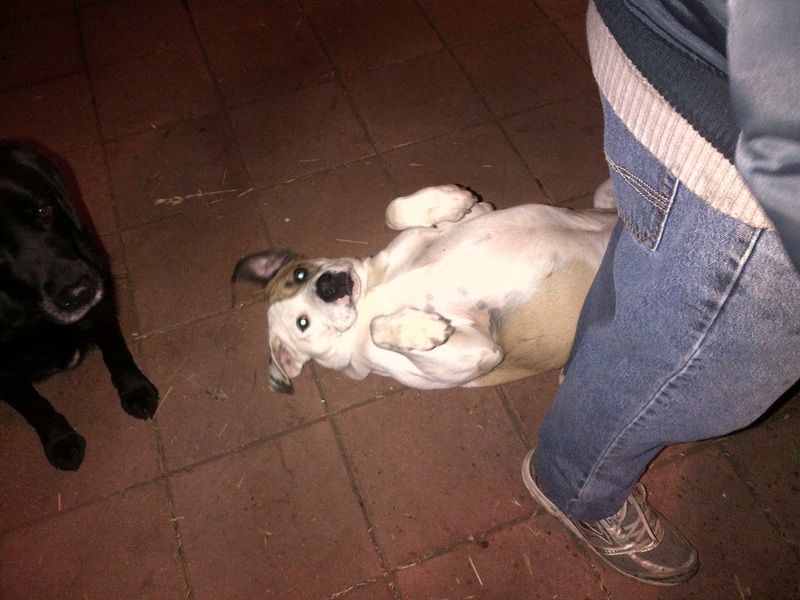 Apparently Bruce finds this comfortable. Dad does not.